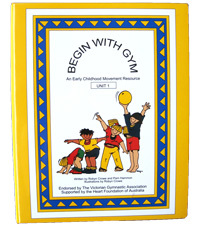 Begin With Gym is a movement and music resource based on the dominant movement patterns and is suitable for children aged 2-5 years. Highly professional in content and design, easy to use and full of surprises. 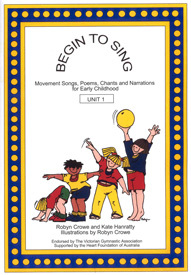 The resource can be used by Kindergym coaches, dance and movement teachers, special needs teachers, childcare providers and early childhood teachers. 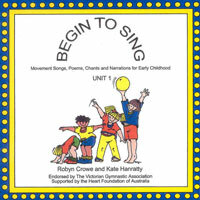 The Begin With Gym manual contains the songs from the Begin To Sing CD which is an additional resource purchased separately. 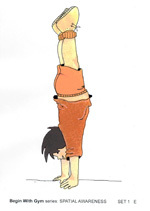 This version of the Individual Balance Illustrations contains 30 x A4 illustrations presented in full colour. The balances shown are progressive, graded from Stage 1 to Stage 5 of difficulty. Suitable for 4-8 year old children. 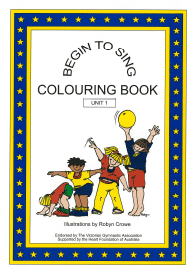 A set of 27 differenct FULL COLOUR illustrations that show a variety of balances using one or two objects. 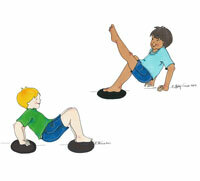 A set of 8 different FULL COLOUR illustrations that show a variety of balances using a bar. 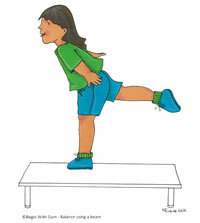 A set of 25 different FULL COLOUR illustrations that show a variety of balances using a beam. A set of 24 x A4 sized balance illustrations experienced with a partner, each performing a different balance. Suitable for 3-8 year old children. There are 25 x A4 sized illustrations in this set of balances. Spatial awareness needs to be experienced by all children by varying the position and shapes of their body in the space around them. 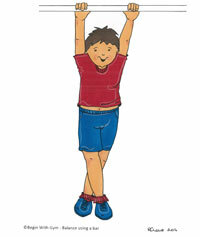 These experiences also enhance balance, body awareness and self-esteem.